Experts cite the “need to be alone with [one’s] thoughts” among the most concerning symptoms reported over the past several days. LOS ANGELES—Citing the “motion of palm trees, like lonely children that shiver in the night” as well as the “glimmering pools of heaven’s tears”, a record number of amateur poets and general “artistic types” reported feeling inspired by this past weekend’s influx of rain in the Los Angeles basin. According to a survey published by the National Institute of Suffering Writers, a wide array of symptoms, including the need to make tea, curl up into a ball, and “just share my gift with the world” were found in significant abundance across all demographics. Nearly two inches of rain fell between Friday and Sunday, touching the souls of sensitive individuals throughout Los Angeles. According to some estimates, as many as 40,000 poems and 15,000 pieces of short fiction were composed within the span of 72 hours. In some areas, rate of metaphor use expanded nearly ten-fold. “I couldn’t help but think: what does this all mean? 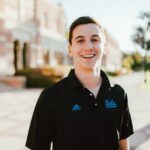 Are we not all but drops of water on the earth ourselves, slowly dissolving into the soil?” said sophomore Brian Tom, whose home town of Arcadia was particularly hard-hit.